Melismatic female vocals flutter in “The Threat Is Real” before Mustaine blasts into a frenetic thrash riff. As the rest of the band joins, the singer-guitarist unleashes a virtuosic lead that nimbly dances across the Phrygian dominant scale. But, considering the song’s title, the use of these Middle Eastern modes has unsettling implications before Mustaine even utters a word. 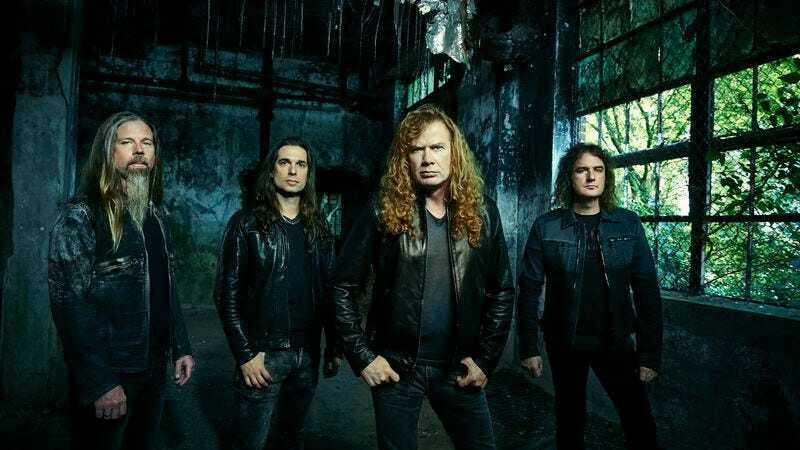 Then, in the first verse, the singer hisses, “The messiah or mass murderer / No controlling who comes through the door.” While Mustaine might be singing about a speculative world, it’s clear that his version of a dystopian society is shaped by xenophobic politics. 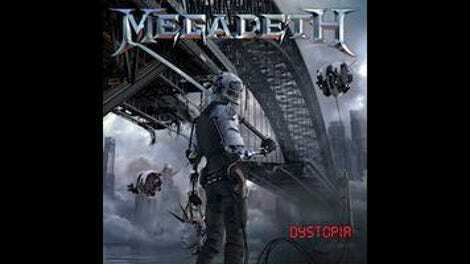 The instrumental “Conquer Or Die!” (which, in the context of this record, would’ve benefited from a different title) starts with intricately layered acoustic guitar work that pays homage to Randy Rhoads’ classic intro to “Diary Of A Madman.” The song quickly embarks upon a warpath of symphonic metal, illustrating that, at this point, Megadeth would be better as an instrumental band. With Lamb Of God’s Chris Adler infusing a new ferociousness into Megadeth, it’s almost tragic that Mustaine has tainted the masterful instrumentation of Dystopia with his offensive politics. Some might argue that the frontman has a right to sing about his beliefs, but there’s simply no room in our already fear-laden culture for any more xenophobia.